In 2012 I started a project (funded by the Australian Research Council) on child migrants and world cinema. Part of that involved watching lots of films, many of them rather confronting given the subject matter. The other part has been to work with young people on making their own films, and telling their own stories. 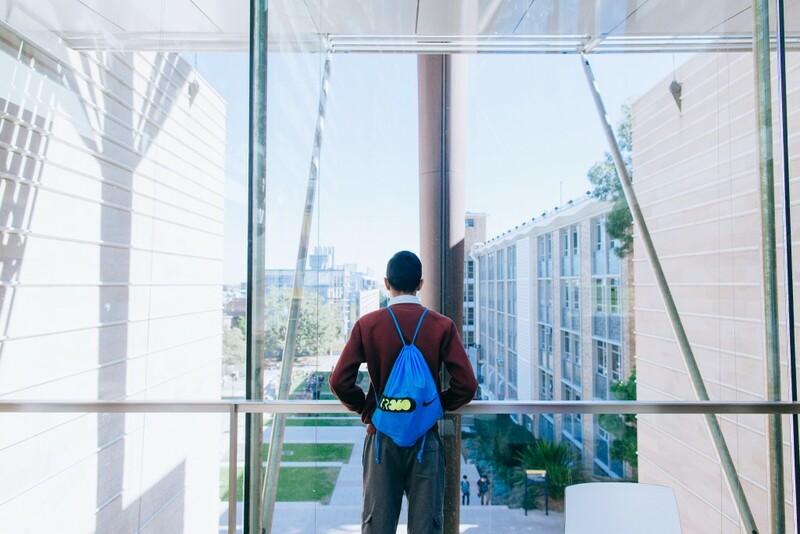 I have worked with four groups so far: Afghans in the UK, Indigenous and non-Indigenous Australians in central Sydney, students of multiple origins who have recently come to Australia (Fairfield, Sydney) on the refugee program, and the children of Chinese domestic migrants in Guangzhou. In 2013 the first group produced films on the subject of travel and journeying. These young people had first or second hand experience of recent migrations, and they were sensitive to the impacts and challenges of sudden change. We talked a lot about colour and emotion, and about space. We agreed that a journey does not have to be long to be meaningful. Their scariest film was a zombie thriller and their funniest was a moral fable about getting too much too soon (winning the lottery, growing greedy, and eating all the wedding cake). In 2014 boarders from Indigenous backgrounds in a Sydney Catholic school used puppets to think out loud about religion in School, and dress-ups to tell a story about bullying. The Chinese students made short one-minute films based on their viewing of Lamourisse’s The Red Balloon (1956), and on a single precious item they brought from home. Their stories were about buried treasure, family sacrifice, adventures in the city, and playing at school. Sydney students (at Fairfields School) made films about flying away from home, about finding friends in adversity, and about death. (Their films are available here.) They also watched clips from French filmmakers (Agnes Varda’s telling of Jacques Demy’s youth in wartime France Jacquot de Nantes, 1991), The Wizard of Oz (1939), and Rabbit Proof Fence (2002) to prompt understanding of how we situate the past and present on film, through juxtaposing black and white and colour, and through thinking of colour and place as emotional tools in narrative. The Fairfields group also attended our Childhood and Nation Network conference in Sydney for a further workshop. Their day was busy. They came onto the UNSW campus on a stunning July day (winter for us). Sarah (Wright), Emma (Wilson), Stephi (Hemelryk Donald), Stefan (Solomon) and Dennis (Del Favero) were there to greet them and to run their activities. They were also delighted to see Enda Murray, a film-maker who had been with them throughout their own workshops and who was clearly The Most Popular Man in the Room. 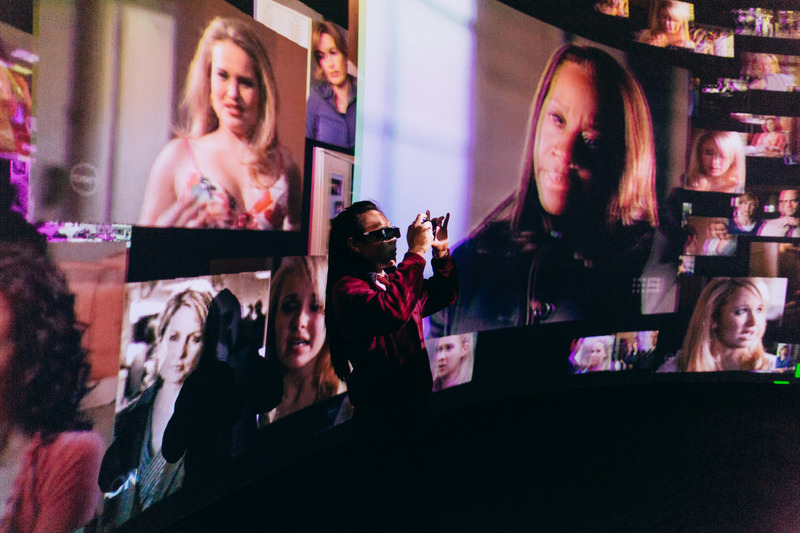 Dennis took them through the iCinema Research Lab, an astonishing facility where art, drama, film, and design work alongside engineering and data to create interactive immersive experiences. iCinema is a pioneering research environment, but also a wonderful experience for young people to discover where visuality can take them – whether they want to be dancers, tourists or mining engineers (for example). Then they came to a screening room to watch their own films and those of the younger Chinese students in Guangzhou and one film from the Afghan-British group. This form of sharing has always been planned as part of the migration project that I was running for the ARC. 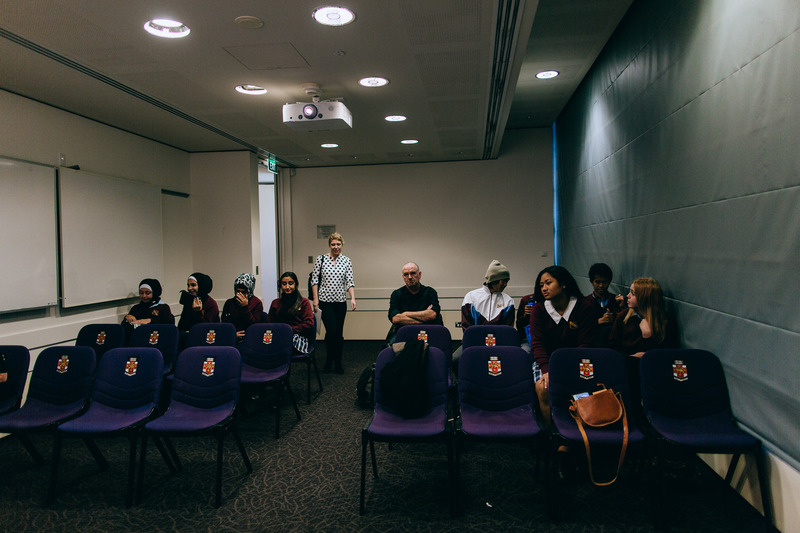 However, the workshop in Sydney made the participants’ experience stronger and richer. 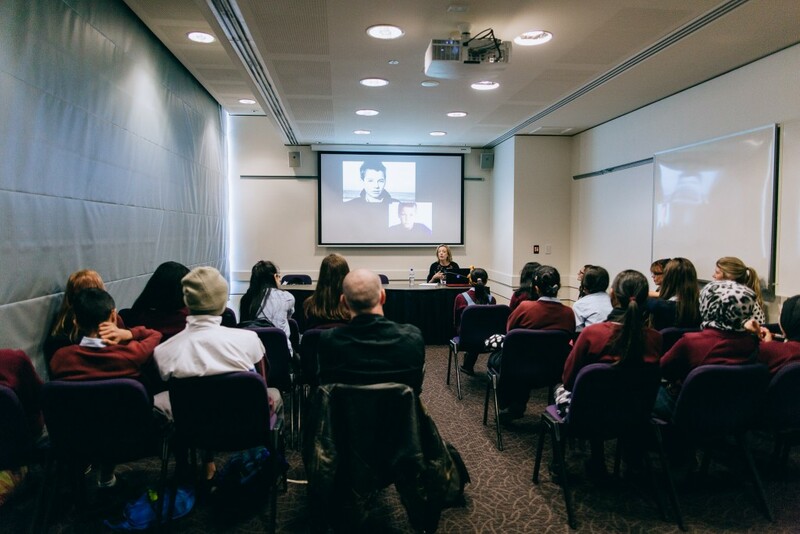 After seeing their own films and discussing them with film professors from the UK, Australia and China, they were then given a mini-film symposium on the Child and Nation, led by Sarah and Emma. Sarah looked at the issue of child neglect and domestic violence in Spanish film, eliciting some serious and insightful comments from the group. Their sensitivity to the use of space and lighting to indicate respect and disrespect between (abusive) parent and (vulnerable) child/mother was impressively acute. Emma then looked at the French fable of Bluebeard (Barbe Bleue 2009). This sumptuous tale is also about violence in the home – rather dramatically so – and about female revenge. Again, a group of teenage boys and girls from a number of cultural and linguistic backgrounds ‘got it’. What did we learn from the workshops? I for one understood that time talking about film with young people is never wasted. It is both an international art form and an internationalizing one. Young people respond intelligently to the poetic and emotional structure of film if they are given access to its grammar and structure. There are different grammars in different national cinemas but they are not mutually incomprehensible. Strong, well-made, intelligent and cinematically sophisticated film travels well.